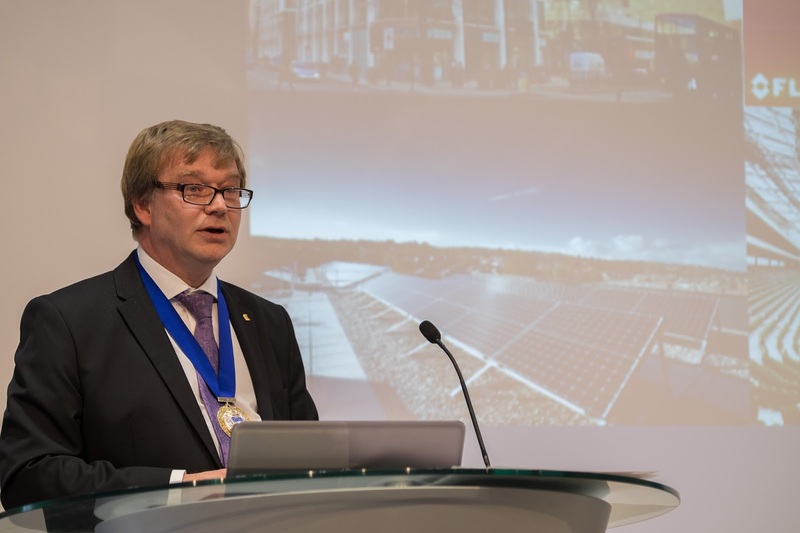 CIBSE’s newly inaugurated President Nick Mead shares an overview of his first month in office, and sets out some priorities for the future. Welcome everyone to the first of my Presidential blogs, covering my year of office between 2015 and 2016. It’s been a month since I took office, and we have got off to a flying start. I have been looking forward to implementing my primary theme of collaboration, and I have already had the opportunity to talk more about it at over 10 major events so far. And they said it would be easy! I thought I was on the back foot from the start, running against the General Election for attention at the AGM, but I couldn’t have asked for a better welcome at the Royal Academy of Engineering. It was here that I was able to set out my vision of a braver industry more interested in working together and breaking down silos. I also got the chance to formally meet the board and staff at our May away day, a great opportunity to have a conversation about how the institution runs and what its aims are. I count myself lucky that this year we were able to discuss the next five year plan, and focus on our vision for the future. I’d like to use this opportunity to welcome all of our new board members again, I look forward to working with you. It was therefore very pleasing for me to be able to see my vision at work first hand, attending the EDGE launch their report on the benefits of collaboration within the industry. Seeing some of the biggest names in the industry meeting with top industry commentators and politicians such as the Rt. Hon. Lord Deben was a perfect example of the scale of the task, and the opportunity, ahead of us. Similarly, the Patrons event later in the month really opened up the debate on collaboration between the three presidents of CIBSE, RIBA and B & ES. This meeting has led to a sustained dialogue on the subject at a high level, and I hope this will continue when we meet again, this time in a Question Time style format at RIBA on the 22nd of June. 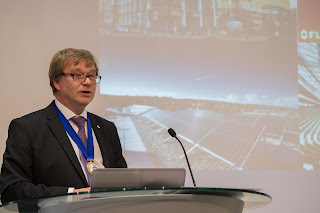 Being the new President of such a diverse and dynamic institution is a pretty hard concept to get your head around, and that was brought home to me at my first Society of Light and Lighting (SLL) AGM. I was happy to be there to welcome Liz Peck at her inauguration as the society’s new President, and delighted that she shares my views on collaboration in this important year – the UNESCO International Year of Light. I have also been able to see the other side of collaboration in this first month, working with organisations and disciplines outside our own institution. I spent two days with members of the Construction Industry Council, in which we talked about the recommendations of the EDGE report, as well as discussing what both organisations have been doing independently to encourage joint action. Similarly, it was very interesting to attend the high profile gathering at Portcullis House, arranged by CIBSE and a host of other organisations. The sight of a number of professional bodies banding together to bring the vital issue of energy efficiency before MPs was a heartening one, which illustrates exactly the kind of work we need to promote. The purpose of the event was to encourage attending representatives to take up the Cost Effective Energy Measures Bill as a private members bill, which sets out to achieve specified purposes for CO2 reduction and the security of energy. However, the biggest take-away for me was the power of these organisations working together to persuade and influence, and the obvious effect that this power had on the MPs present. So, despite being a busy first month, it has been an enjoyable one. Imtech (the day job!) have been very supportive of my work, and the time has really flown by. Not only has the first month been productive, but it has been a great indicator of how much there is to do over the next 11 months.